Self-discovery, awareness, integration of one’s shadow self; relieves shock, pain, anxiety, tension. Rainbow Obsidian is called a “stone of pleasure” because one of its most notable attributes metaphysically is bringing pleasure, bringing gratification, enjoyment, and joy to one’s life. Helps integrate one’s shadow self. It also brings love and light into your life! 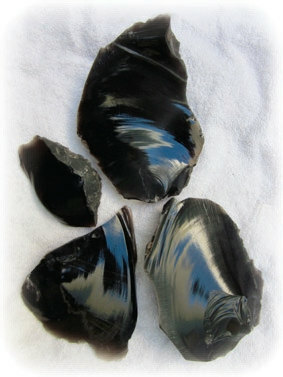 Rainbow Obsidian is used psychically to enhance clairvoyance and is an excellent scrying stone, especially in the areas of love, relationships, and self-development. It is also a very protective stone, and is especially effective in protection rituals and amulets, where it works by grounding out negativity to let light in. Thus, it is also very grounding and centering. The stone shields off the wearer from negativity and brings positive attitude towards every aspect in life. It is useful in matters of love and relationship. It helps in strengthening one’s relationship, makes it strong and never ending. It is used in treating one’s self esteem and develops etheric and physical forms. Helps to recognize your spiritual nature. It is a protective stone that keeps one safe from emotional and physical harm. It provides a shield from negativity. Rainbow Obsidian helps to identify one’s owns flaws and gives a clear picture of the changes which are necessary to eliminate these flaws. It is an excellent grounding stone and provides a connection from the base of one’s spine to the heart of the earth. It also brings love and light to one and can bring out the Spiritual.